MARK NANCE/Sun-Gazette A hellbender tries to make its escape from a specimen tray as vital statistics are recorded by Lycoming College biology students at Little Pine Creek Wednesday. Each hellbender captured is weighed, measured determined the color pattern on both the dorsal (top) and ventral (bottom) sides, recorded any irregularities and a micro chip inserted in its tail. All were eventually returned to the creek where they were found. The state of Pennsylvania is one step closer to having an official state amphibian, with local students playing a key role in the passage of the bill to make it happen. Recently, the Senate State Government Committee, chaired by Sen. Mike Folmer, R-Lebanon, unanimously approved Senate Bill 9, sponsored by Yaw, which designates the Eastern Hellbender as the first “State Amphibian” of Pennsylvania, according to a press release. CBF’s Pennsylvania Student Leadership Council, consisting of high school students, extensively studied the Eastern Hellbender as well as the problems the amphibian is facing in the state. With assistance from Lycoming College, the students drafted the legislation during the 2017-18 Legislative Session, meeting with various elected officials to outline why they felt the Eastern Hellbender should be the state amphibian, according to the press release. Yaw gives “great credit” to the students of Lycoming College for their work with the Eastern Hellbender, citing how their research helped convince him to back the piece of legislation. Initially, Yaw did not know much about the Eastern Hellbender, he admits. After meeting with the students, Yaw agreed to introduce the measure in the new legislative session. Yaw’s support of the measure coincides with his efforts to maintain the regions waterways. 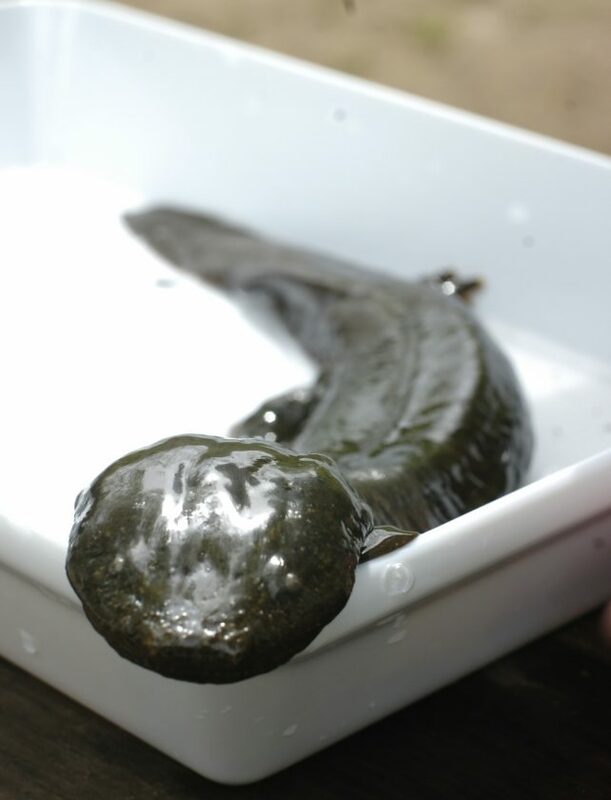 “It is an excellent natural indicator of water quality, so, in effect, if you have hellbenders in your water the water quality most likely is very good. The hellbender will be a visible symbol of Pennsylvania’s commitment to clean water,” Yaw said in the press release. There is science to back up Yaw’s claim according to Middle Susquehanna Riverkeeper Carol Parenzan. “The Eastern Hellbender is the largest amphibian in the U.S. It only resides in waterways that are clean and pristine,” Parenzan said. Many who study the cleanliness and quality of the state’s water also view this legislation as a victory for clean water, including Peter Petokas, Ph.D., a faculty member of the College’s Clean Water Institute as well as an amphibian conservation biologist at Lycoming College. “There are really two benefits of the bill being passed. The being to raise public awareness of a really unique part of Pennsylvania’s unique biodiversity, and the second is that, by raising that public awareness, we can promote the conservation of those resources that the Hellbender thrives in. Because we’re really not doing enough to protect them,” said Petokas. “I can’t think of a better symbol of clean water in Pennsylvania, which is something the state prides itself on – our water,” said Yaw. “Even in times of budget crisis and pensions and everything else impacting Pennsylvania, this is something that showed the student sponsors of the bill that their elected officials do indeed listen to them. They had a great idea and I was privileged to present their idea to the Senate on their behalf,” said Yaw in the press release. Senate Bill 9 is scheduled for a floor vote Monday, afterwards going to the House’s state government committee. If approved by the General Assembly and signed by Governor Tom Wolf, the Eastern Hellbender would join the ranks of the White – Tail Deer as the State Animal, Ruffed Grouse as the State Bird, the Great Dane as the State Dog and the Brook Trout as the State Fish.